How Do You Get Your Custom Orthotics? For an optimal summer experience, you might need certain tools like sunscreen to prevent burns, water to stay hydrated, and a good book to read by the pool. In the same way, feet sometimes require a little extra help from tools to optimally address an existing problem. Custom orthotics are one such tool we sometimes use at Fixing Feet Institute to correct biomechanical problems or provide additional padding to protect feet when a patient has diabetes. Custom orthotics are more durable and functional than regular shoe inserts, and they can be a true investment in your health. To ensure a custom-made orthotic is the correct choice, we do a thorough examination. Our medical professionals evaluate your medical history and check for any other potentially-related issues or sources of discomfort you might be experiencing. We then perform a gait analysis to see how your body moves when you take a step (and how it looks when you are standing still). Everything from your physical activity level to your foot type is assessed and considered when developing your orthotic device. We make a mold of your foot in our office and then send it to a lab where the final orthotic is made and sent back. A device like this is good for fixing many different foot issues. If you have plantar fasciitis or Achilles tendinitis, we can provide an orthotic device to hold your foot in a different position and keep excessive pressure off your heels. 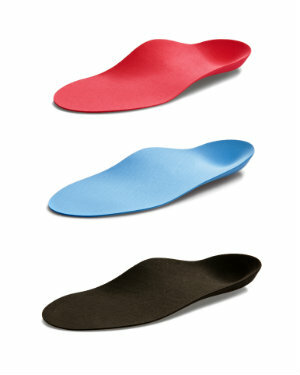 Our office can even provide you with an orthotic to help your feet throughout the day if you stand a lot at your job. If you are overweight, you can invest in an orthotic to counteract some of the excess stress you are placing on your feet. Many athletes use orthotic devices to help increase their endurance and performance, which is especially common for runners. If you think a custom-made orthotic can help you out in any way, please call Dr. Peyman Elison at (623) 584-5556 to schedule an appointment with us at Fixing Feet Institute in Surprise, AZ.